As both a gamer and a comics fan, to say that I’ve been disappointed that interactions between the two mediums so rarely produce viable offspring would be… well, one of hell of an understatement. I go out of my way to play any supers-themed game I can get my hands on—so long it isn’t something especially cheesy, like a movie tie in (or similar b.s.). I’ve lost hours to all three supers MMO’s (which all disappoint for various reasons). Hell, I’ve even played Superman on the N64, and while I’ve only been able to sample the acclaimed Infamous series, I feel confident in my claim that Saints Row IV is the best supers game (not to mention it’s also the best Matrix game…) ever made. Peek below the fold to find out why. Obviously, we here at Caffeineforge aren’t exactly the crème de la crème of the gaming press. No preview copies here, no special access—I’ve only had access SR IV since Tuesday, just like everyone else. I hadn’t expected to be so moved by it either. I mean, I’ve played Saints Row the Third quite extensively, and I’ve loved its chaotic, sandboxy goodness, but SR 3 is at a basic level, a GTA clone—albeit with a clone with some panache. Saints Row IV is something special. Plenty has been said about the game in other outlets. That adult flavored slapstick humor the series is known for is present in spades. The sandbox Steel Port city is present, updated, and bigger than ever. There is a reasonably compelling story, even if we’ve heard it all before (there have been more than a handful of Matrix callouts in the time I’ve had to play). But none of that is new. It’s well trod territory. So, why am I so excited about this game? I’ll tell you: because it is the very first game I’ve played that has made me feel super. What really excites me isn’t Saints Row itself, but the promise it contains. There has never been a supers game with the freedom of a true sandbox. I mean, yeah, you can run around in Infamous and do your thing, but you’re locked into a singular power progression, and the purpose is to tell a rich and complex story, ala Assassin’s Creed. Likewise, in a game like City of Heroes, you had a rich selection of powers, but all the baggage of an MMO. 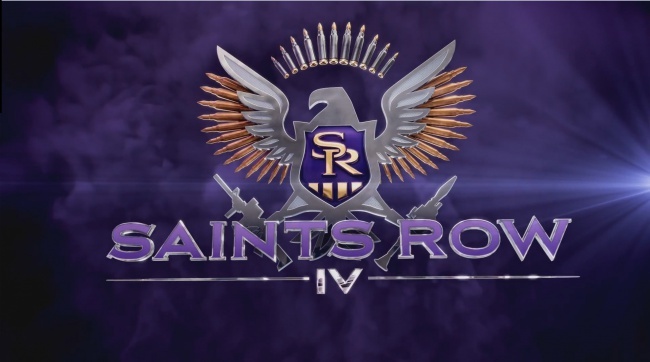 The potential I see in Saints Row IV is for an open world sandbox supers game in which you choose your powers, your costume, and whether you’ll foil the bank robberies, or whether you’ll start committing them. Now, Saints Row definitely isn’t that game, but it’s as close as we’ve yet come. I’ll be honest—the game isn’t so much scratching my super-powered mayhem itch as much as it is inflaming it! But baring options that are absolutely true to the four-color genre (there are none), Saints Row IV is absolutely, hands down, the best game to embody both the power and consequences of super powers. I think it’s an absolute must-play for fans of supers. I love SR4 like crazy. It’s just nuts, and a ton of fun. I pre-ordered it as soon as I could, and I don’t regret at all paying full price for it. As you say, it’s probably the best super-powered game out there. That said, Infamous is VERY close. It’s a singular power progression, sure, but one that has you throwing lightning bolts, lightning bombs, grinding on rails and power lines, throwing people and cars around with force blasts, and so on. I haven’t played Infamous 2 yet, but that expands the powers even more. The other two superhero games I would say capture the spirit of superheroes are the Arkham Asylum/City Batman games, and Hulk: Ultimate Destruction. But yeah, SR4 doesn’t have an original bone in its body, but it takes all the good stuff you’ve ever experienced in video games, throws it in a blender, and then converts it into a slurry of pure fun. Infamous is very cool, and I am definitely looking forward to the third installment! I haven’t played the Hulk, but I will totally agree with you on Arkham. That said, Arkham is a super evocative Batman simulator, and his place among “supers” is debatable. 😉 But I totally agree, for bringing the tone of the comics to life, the Arkham games are amazing.